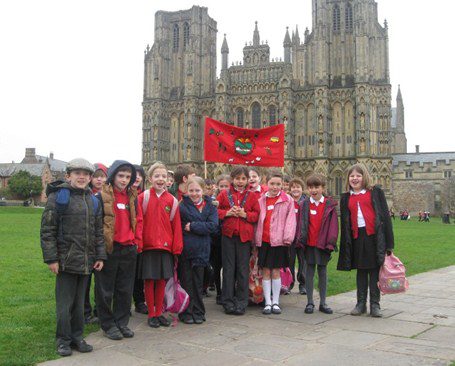 On Tuesday 11 March, the Year 4 children travelled to Wells, with Exford pupils, to take part in the special day of celebration and workshops organised by the Dio-cese of Bath and Wells. We had a very special day learning about pilgrimage and reflecting on our own journey at All Saints First School. Finn Irving read a prayer written by the class at the pulpit. 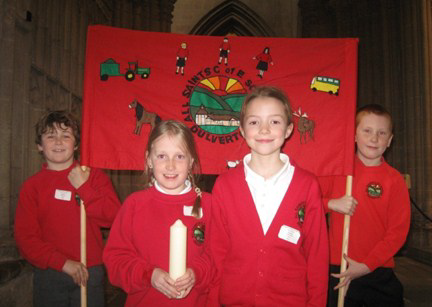 William Summersgill and Oliver Shaddick held the school banner in the procession and Tilly Carless and Maisie Miles collected our new school candle during the closing ceremony. The whole class were polite, enthusiastic and represented our school perfectly.